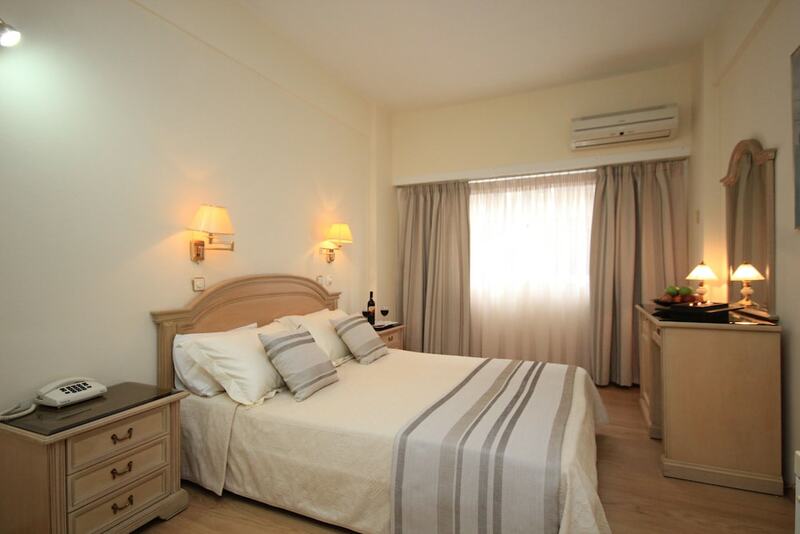 With a stay at Hellinis Hotel in Nea Smirni, you'll be within a 10-minute drive of Acropolis Museum and Benaki Museum. This hotel is 3.4 mi (5.5 km) from Parthenon and 2.4 mi (3.8 km) from Hellenic Parliament. Make yourself at home in one of the 85 air-conditioned rooms featuring refrigerators. Complimentary wired Internet access keeps you connected, and satellite programming is available for your entertainment. Bathrooms have bathtubs or showers and hair dryers. Conveniences include safes and desks, and housekeeping is provided daily. Stop by the hotel's restaurant for lunch or dinner. Dining is also available at the coffee shop/café, and 24-hour room service is provided. Wrap up your day with a drink at the bar/lounge. Full breakfasts are available daily from 7:30 AM to 11 AM for a fee.